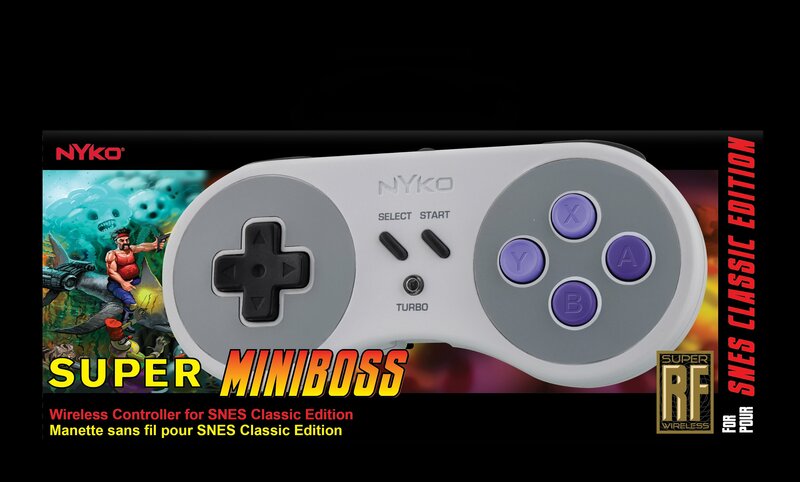 ​Inventive console accessories manufacturer Nyko today unveiled Super Miniboss, a wireless controller for the Super NES Classic Edition game console. Designed to complement the retro style and feel of the console, Super Miniboss enables cord-free gameplay and features a turbo button for fast inputs. The addition of a turbo button make the Super Miniboss perfect for fast paced shooters games. Super Miniboss is built specifically for the Super NES Classic Edition, and follows the success of Nyko’s Miniboss for the NES Classic console in 2016. Super Miniboss is now available for pre-order at GameStop.com and Nyko.com for an MSRP of $19.99, and will soon be available for pre-order on Amazon.com. The controller will begin shipping from GameStop and Nyko around the console’s launch, with Amazon.com to follow.